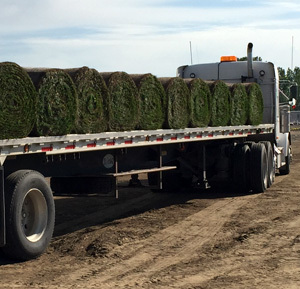 Your Tvetene Turf sod is delivered within 24 hours of harvesting and should be installed as soon as possible after delivery to maintain its health and quality. 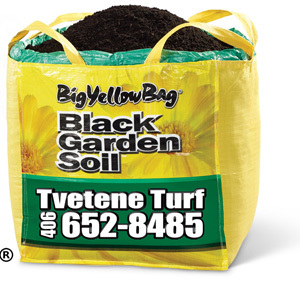 If your Tvetene Turf sod is delivered the day before installation, it should be stored in the shade and lightly moistened. 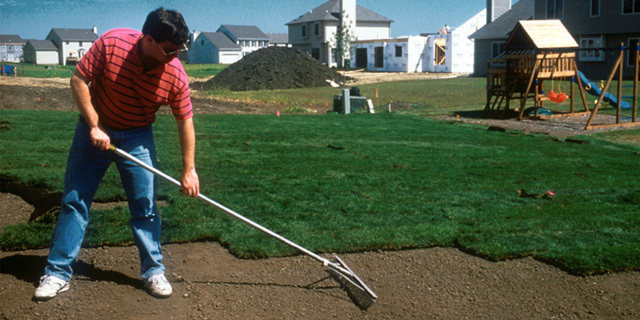 It is best to smooth your prepared area with a rake just before laying your sod. 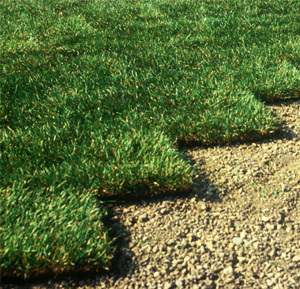 Start laying your sod along the longest, straightest edge of your new lawn area, such as the driveway or footpath. 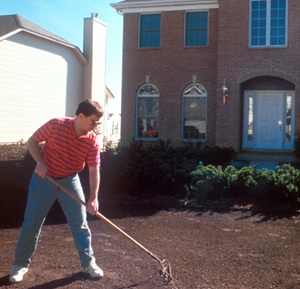 For sloped areas, we recommend you lay the sod horizontally across the slope. 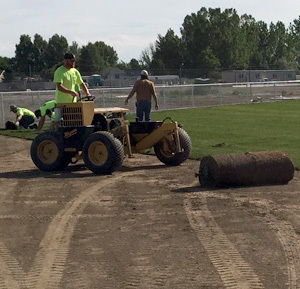 Lay the sod rolls in a staggered pattern (like bricks), as close together as possible making sure there is no overlap nor any soil from the edges of the rolls visible. 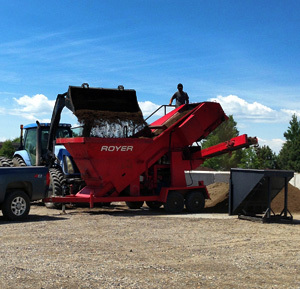 This helps to prevent drying out along the seams of the roll. 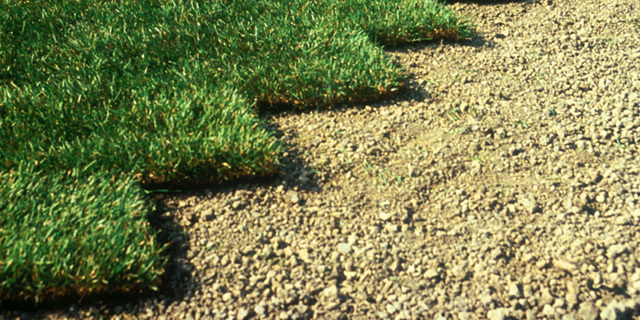 Any gaps should be plugged with scraps of sod, not filled with soil. 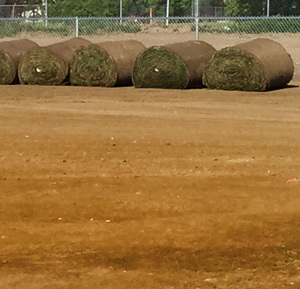 Each small roll is approximately five feet long by two feet wide, covering ten square feet. 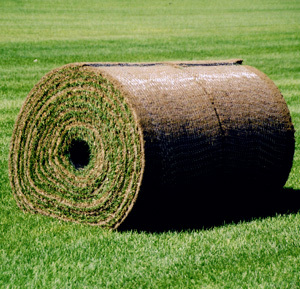 The rolls can be trimmed with a sharp knife (flooring knives work great and are available for purchase at our office) to reduce tearing or shredding that may damage the grass. 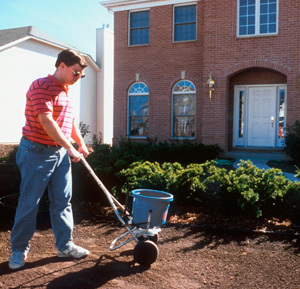 You will find it easy to trim closely to edges and driveways, which makes the final result look very professional. 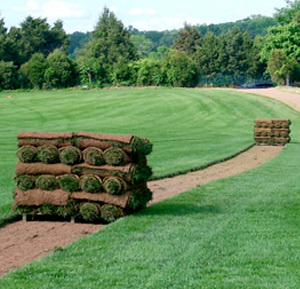 Avoid using small strips of sod on outer edges, as they can dry out much quicker than a full roll. 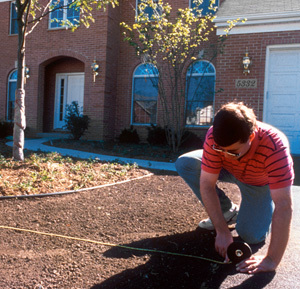 If you think you are going to need a narrow strip to finish off a job, try running a full roll around the outside of your lawn area, then fill any gaps in the middle. 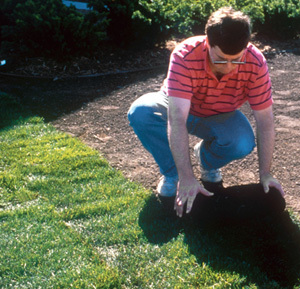 Once installed, your new lawn should be kept wet for two weeks to insure good root development. 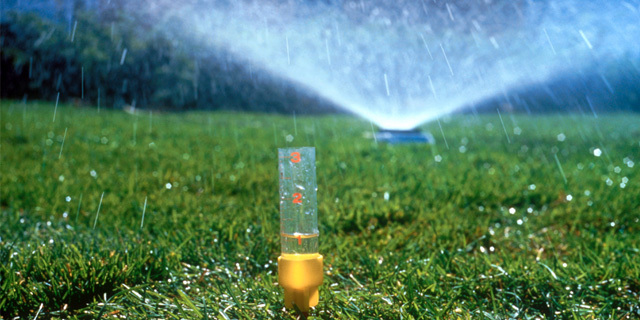 Then gradually decrease your watering time. 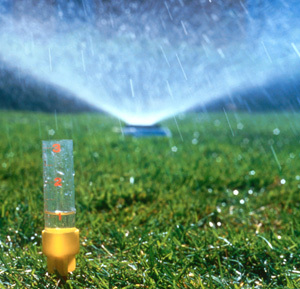 Don’t let the new sod dry out completely, but gradually decreasing water will cause the roots to grow deeper to find water. 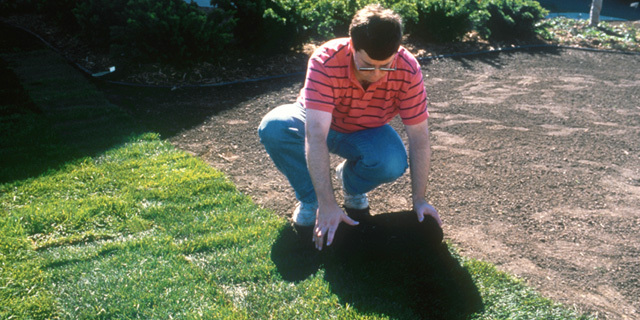 This helps insure a well-rooted healthy lawn!